All States and Cities: Submit button gets stuck on "Please wait..." when widget is hidden with conditions. I am having trouble submitting the forms on our website. It only works with the "condition" of choosing "Become a franchisee." That form goes directly to me....the other conditions are not working. The form just says "please wait" when somone hits submit. 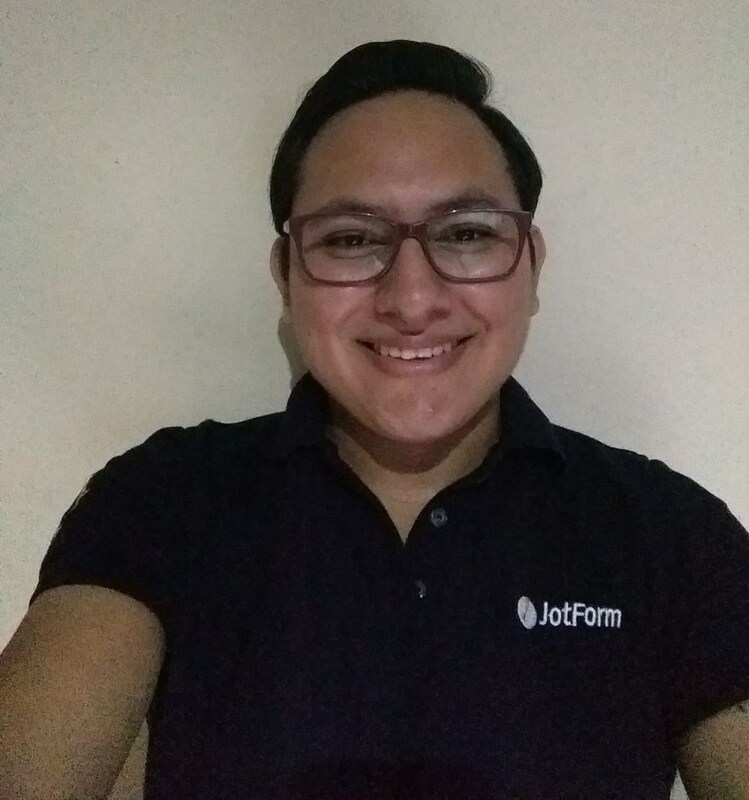 I was able to replicate the issue on your embedded form and using the direct link to it as well, seems like there was an issue with the widgets that you're using on your form. If the issue still persists on your end, please try removing and adding the widgets once again to your form if possible, also re-embed the form, a fresh copy of the form should help. though....If you click on any other subject it does not submit the form. 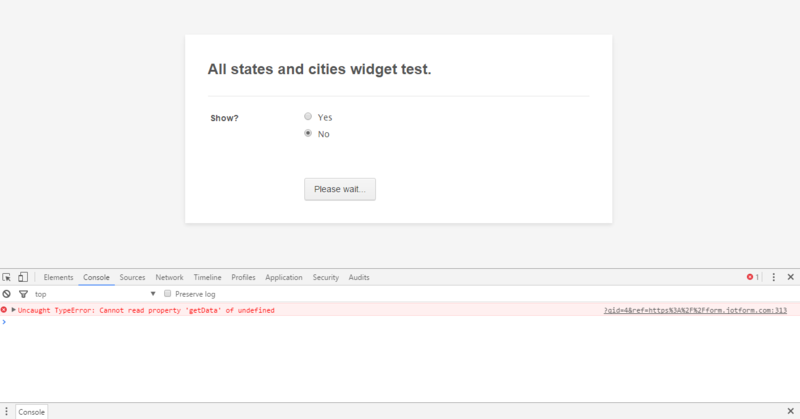 Apologies, I tested the form and noticed there was an error about required fields empty, but I tested your form now and I can see the issue, seems like there is an issue when the "All states and cities" widget is hidden with conditions, I checked the web console and when it is hidden with conditions it does not return any data so the form gets stuck on please wait and it is never submitted. I will submit the thread to our second level in order to get this checked and resolved, we will let you know as soon as we receive news regarding this thread. thanks so much for doing this....This is really the only way that it will work for our company. It is already live on the site so I want to fix this issue as soon as possible...thanks so much for working on this for us. Hi guys, I have fixed this issue. No need for assistance anymore. Thanks for letting us know. It looks like that you have removed the widget from the form and added individual fields with conditions. The issue is already forwarded to our backend team and you'll be posted here if there is any update in this regard. All states and Cities should be working properly now. Sorry about that - please check and let us know.